Why Did Deadpool 2 Löschen These Scenes? Die Fanauswahl: hell yeah! honeymoon in tahiti! Why is Deadpool your Favorit Anti Hero ? Is deadpool a villan oder hero? Who would win in a fight deadpool oder the punisher?I think nether would win there both evenly matched oponits. To The Founder Of The Deadpool Fan Club: Please put a banner for the club we really need a banner for the club. 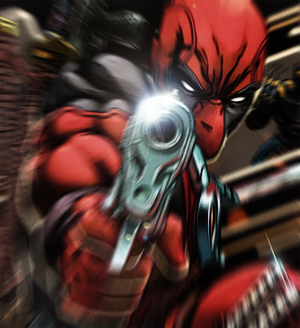 Deadpool is a fictional character that appears in comic Bücher published Von Marvel Comics. Created Von artist Rob Liefeld and writer Fabian Nicieza, Deadpool first appeared in The New Mutants #98 (Feb. 1991). a poll Wurde hinzugefügt: Who would Deadpool marry?